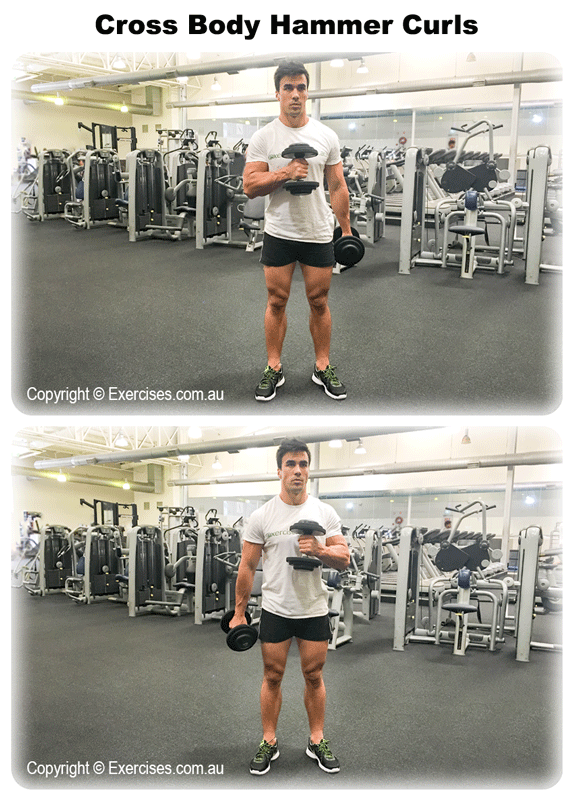 Cross Body Hammer Curls is a great exercise for adding size to the biceps and also targets the brachialis muscles on the top of the forearm. The unilateral nature of the exercise requires the core to remain engaged so the body can maintain the correct position and support to the lower back. This is a good exercise to build grip strength. Grab a pair of dumbbells and position them along the outside of your thighs with palms facing each other. Assume a shoulder width position; tighten your core and keep an arch on your lower back. Slightly bend your knees and elbows. Maintaining palms-in position, curl one dumbbell by moving it across the body and toward the opposite shoulder. Resist the weight and bring it back to the starting position. 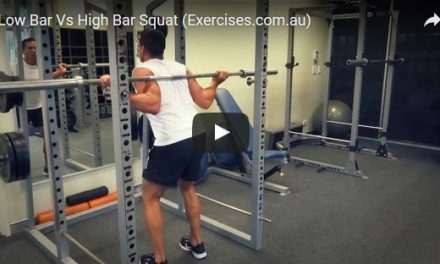 After you complete the first rep, switch and repeat the exercise with the other arm. Make sure you do the exact number of reps. Always maintain a slight bend in your arms when doing Cross Body Hammer Curls. The bend reduces pressure and strain on the biceps tendons and elbows. Keep the core tight and the upper body stable. Do not rotate your trunk or use momentum to curl the dumbbells. Your elbows should maintain its position without moving forward or backward.